A rogue scientist who escaped the bloody massacre in B.P.R.D. Hell on Earth: Russia assembles a paranormal cult bent on world destruction. Can an elite B.P.R.D. task force hunt down the mad Russian?s stronghold in time, or will monsters overwhelm a world already teetering on the edge of apocalypse? Collects B.P.R.D. 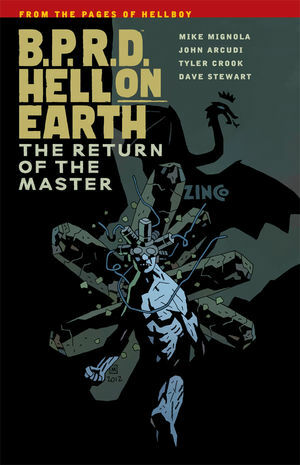 Hell on Earth: The Return of the Master #1?#5.